Born 1975 in the Ruhr region. Based in Berlin since 1996. Spent some years living in Chile, Spain and France. Studies of geography, philosophy, anthropology, urban and regional planning, political sciences and geopolitics. Broad professional experience in international projects working in different European countries. Member of the 'International Comittee for the Conservation of the Industrial Heritage' TICCIH and the German society 'Georg Agricola Gesellschaft'. Initiation of a Berlin-wide network of people engaged with the topic, and development of a qualified touristic concept aiming at re-visualizing Berlin's industrial stories. Realisation of two music and film festivals and a travelling photo exhibition on Climate Change in Belgium. Initialization of an inter-regional cooperation between the Flemish and Wallonian project partners. URBACT-II-Progamme, RegGov network on "Regional Governance of Sustainable Integrated Development of Deprived Urban Areas". In close cooperation with the European Commission, GD Regional Policies. Supporting the UNESCO-World Heritage Site Bid of the former coal-mining region 'Bassin Minier'. Audrey Guiral (urban planner, Paris): German-French contextual translations. Frederik Bombosch (geographer & journalist, Berlin): help with the website's concept and text. 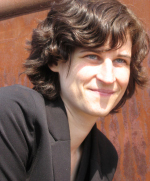 Henrike Lehnguth (cultural sciences, Washington D.C.): German-English context translations. Karsten Feucht (architect & walking guide, Lusatia): TICCIH 2009 Conference. Katrin Steiner (online editor, Münster): website editing (2007-2010). Marlene Damerau (geographer, Bochum): co-interpretations at Chance-MMX-Conference (2008) and the Study trip to Norther France (2010). Petra Keijser (geograper & producer, Amsterdam): photos for the website. Vania Santi (humanities & music agent, Cesena): inspiration.